Concealed soft-close door hinges. Includes White Man-Made Countertop. Backsplash not available. Includes Arista White Carrera Marble Sink. 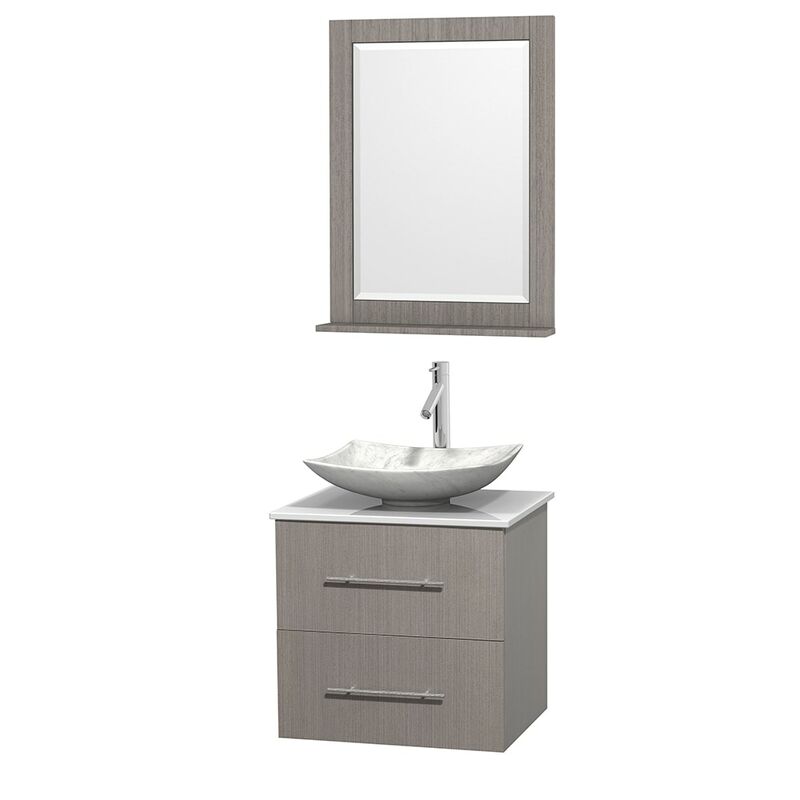 Dimensions - Vanity: 24" x 19" x 22.75"; Mirror: 24" x 5" x 32"